Oil and Gas Management - Liberty Texas - BWB Operating, Inc. - Bruce W. Blake Oil Managers | Liberty, TX - BWB Operating, Inc.
We currently have available prospects and exploration opportunities in the areas listed below. Please contact us if your firm would like to review the details of any offering. • Williston Basin - Minerals to Lease Basin Wide! Bruce W. Blake is an Independent Landman and Management Consultant based in Liberty, Texas. He is a member of the TIPRO, AAPL, HAPL, PBLA and COPAS, and an associate member of AAPG, HGS, WTGS & SPE. He has served as a Director of both the Petroleum Accountants Society of the Permian Basin and the Permian Basin Landmen's Association. He also served on the Permian Basin COPAS Audit and SPE Environmental Committees. He is a Certified Professional Landman with the AAPL Environmental Site Assessor Certification. He began his Oil and Gas career upon earning a BBA from TCU in 1976. He may be reached toll free, 1-800-453-4275. Bruce Alexander Blake is an Independent Landman. He is a member of the AAPL and began his Oil and Gas Career upon earning a Certificate of Professional Land Management from the University of Houston College of Business. He may be reached on his cell phone at 936-336-4422. Jack E. Blake, Sr. 1922-2014 After earning a BA from Texas Tech University in 1949, he began his career in the production department of Amerada Petroleum, and later, Gulf Oil Company. His estate may be reached at its direct line, 432-684-7888. 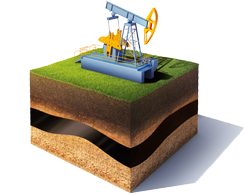 We have professional associates throughout the oil and gas industry.